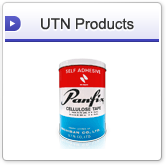 Panfix™ Tapes are self adhesive cellulose tapes made under the license of Nichiban Japanese adhesive tapes manufacturer. 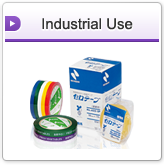 Adhesive tapes with attached pads, perfect for protective covering after injections. 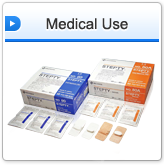 The pads use a layered non-woven fabric made of cellulose materials, and the tapes mainly consist of non-woven pulp polyester fabric, coated with acrylic adhesives. 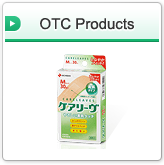 Adhesive tapes with hemostatic pads: pads are made of an unwoven fabric composed of cellulose materials; tapes are made of an unwoven fabric made mainly from pulp and polyester with additional acrylic pressure-sensitive adhesives. 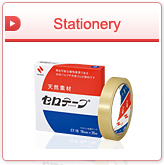 "®" and "™" on our Websites are trademarks of NICHIBAN CO.,LTD. in Japan and/or other countries. Download new and previous versions of Adobe Reader.